The portability of watercolor makes it an ideal media for painting outdoors in Carmel. To prepare, the workshop students will spend the first day in the classroom-studio familiarizing themselves with the unique qualities of watercolor; strategies of interpreting the subject matter while incorporating the traditional concerns of composition and drawing. 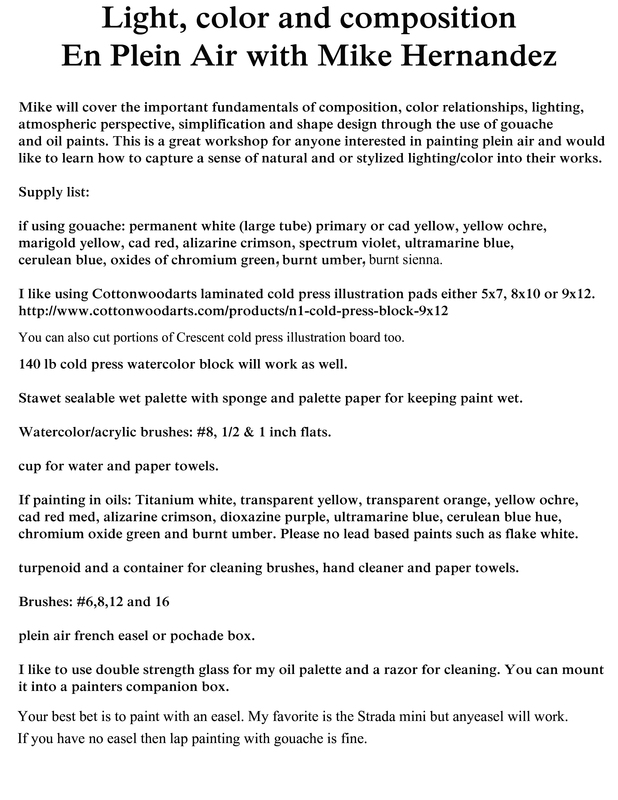 The second and third day will be spent painting outdoors with painting demonstrations and individualized attention. Lord’s experience painting in oils and at ateliers means that she can explain her painting concepts to artists who are new to watercolor. 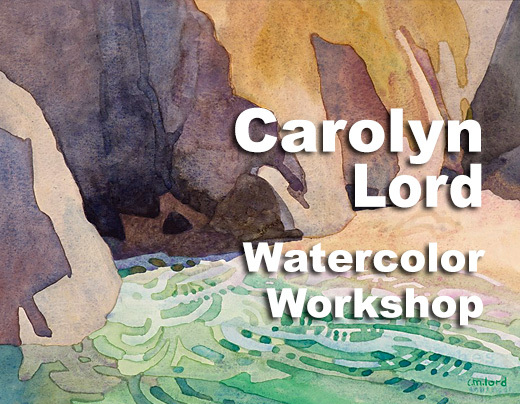 Carolyn Lord’s paintings typifies the direct approach of the “California Watercolor Style.” She is a Signature member of both the California Art Club and the National Watercolor Society.